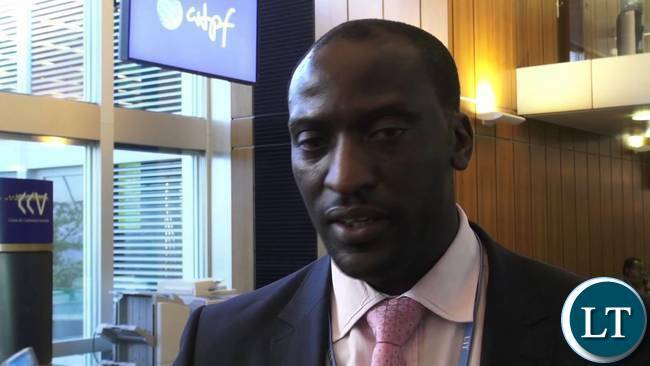 Zambia Information and Communications Technology Authority (ZICTA) Director General Patrick Mutimushi says the authority is pleased with the enthusiasm young people have shown in developing new ideas in the Information Communication Technology (ICT) sector. Mr Mutimushi says the increased number of young innovators who have participated in this year’s 2018 ICT innovation programme, is a clear demonstration that young people have the potential to contribute to the growth of the ICT sector. The ZICTA Director General was speaking during the official opening of the 2018 Innovation Programme Business Conference and Expo in Lusaka this morning. Mr Mutimushi said the authority has witnessed an unprecedented participation from youths engaging in research and development of new appropriate technologies in the industry. He said young innovators in Zambia have the opportunity to use ZICTA’s technological capacity to transform the education and healthcare systems in the county. Mr Mutimushi has assured young innovators in the country that the authority will continue providing a regulatory environment that supports the growing of the ICT sector. The number of young innovators who have participated in this year’s event has grown from last year’s 20 to 60 this year (2018). And speaking at the same function Barclays Bank Zambia Managing Director Mizinga Melu says the bank will use digital opportunities available to enhance its banking services. Ms Melu said the bank as the core sponsor of the 2018 ICT Innovation programme is delighted to learn that the programme has had a growth of 20 to 60 participants this year. She noted that the bank is proud to be associated with the programme as it creates opportunities for digital technologies. Ms Melu pointed out that ICTs are key in growing the country’s economy. She said this in a speech read for her by Barclays Bank Zambia Director for Retail Harton Maliki. Meanwhile ProBASE Chief Executive Officer Roy Muyelu has advised young innovators to come up with ideas that seek to address challenges faced by the general population. Mr Muyelu said Innovation should be tailored towards improving the plight of people across the country. Is this the guy hired to give our information to PF’s Amos Chanda? Let’s develop this thing! It is UNELECTABLE! People like Mutimushi needs encouragement and support. It’s not easy to have this job in Africa, China, and many other countries where governments are corrupt and abrogate human rights laws and want to hide their evil deeds by putting pressure on ZICTA and regulating bodies in their countries to hide their evil deeds. Most often you hear such governments blaming these people instead of doing the right thing and uphold the Rule of Law. Zambias State House is no exception in this regard. Galu Watchers Zambia Ltd needs to go to Kalukungu Cementery indeed. I KNOW THIS CHAP HE WAS AN A BELOW AVERAGE STUDENT IN CLASS 98 UNZA EEE , DISTINCTION STUDENTS LIKE SEPO TEMBO WHERE ARE THEY TO DEVELOP THIS THING CALLED ZICTA??? Actually these ZICTA guys have no idea on what to do with those invitations. They just parade projects then shelf them. It just ends on them being impressed.Thats all.